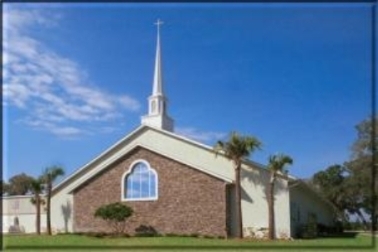 Fort Cooper Baptist Church is an independent, fundamental, Baptist church. Our philosophy of ministry is very simple. We want to see the lost saved and the saved growing spiritually and serving Christ. We have a vision and a determination to fulfill God's Great Commission. Our services are centered on the preaching and teaching of God's Word. We believe His Word is inspired and without error; therefore, it is authoritative on every subject of life and death. The Bible's own claim is that it cannot be broken, John 10:35. Fort Cooper Baptist Church has been a pillar and ground of the truth in the Citrus County area for over fifty-five years. Our church has a history full of God's blessings. Included in this history is thousands of lost souls won to Christ, hundreds of families built and strengthened for the glory of God, and scores of people serving God with their lives.